International Cruise & Excursions, Inc. (ICE), a leading global provider of travel, leisure and lifestyle programs for some of the world’s most respected brands, has renewed its long-term partnership with Westgate Resorts. ICE provides Westgate a unique private-branded travel and leisure benefits program, Westgate Cruise & Travel Collection, for Westgate’s Timeshare Owner base at all Westgate resorts. 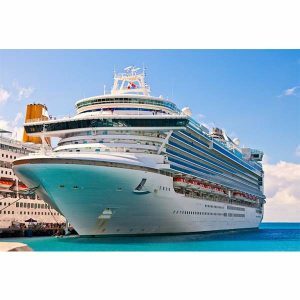 Westgate Cruise & Travel Collection allows owners access to significant savings on leisure travel and lifestyle benefits, including cruises, hotels and travel offerings, wine, merchandise and more. ICE and Westgate have partnered on numerous travel programs for nearly 20 years, forging a strong and mutually rewarding partnership. Westgate Resorts was founded in 1982 and has grown into the largest privately-held timeshare company in the world with 27 themed destination resorts nationwide. The new agreement expands the relationship to provide membership benefits to all existing Westgate Owners, enabling them to take advantage of the travel savings of the Westgate Cruise & Travel Collection. It also extends unique membership benefits to the newly re-branded Westgate Las Vegas Casino Loyalty Program, the World of Westgate, creating one of the first comprehensive travel benefit programs coupled with a major casino loyalty program. International Cruise & Excursions, Inc. (ICE) is an international leisure travel and lifestyle benefits organization with a global network of premier corporate, leisure and affinity-based alliance partners. ICE is a market leader and global provider of travel and leisure-based loyalty and reward programs. Leveraging the innate power and appeal of vacations and unique leisure-related products and services, ICE provides travel-based benefit programs to millions of consumers and scalable travel and loyalty solutions for some of the world’s most respected global brands. Unmatched in delivering travel and leisure products and services through powerful marketing and technology solutions, ICE creates and manages customized B2B2C and B2C vacation and leisure-centric programs, in more than 22 languages, from 14 global offices across the US, Mexico, Belize, the UK, Portugal, India, Australia, New Zealand and the Philippines. Learn more about ICE at www.iceenterprise.com. Westgate Resorts is the largest privately held timeshare company in the world and one of the largest resort developers in the United States. 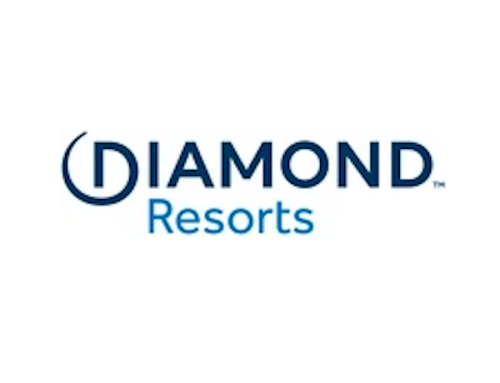 Founded in 1982 by David Siegel, the company is headquartered in Central Florida, with 8 Orlando resorts, and 27 themed destination resorts nationwide, featuring more than 14,500 luxury villas and hotel rooms in popular vacation destinations, including Orlando, Fla; New York City; Park City, Utah; Las Vegas, Nev.; Myrtle Beach, S.C.; Miami Beach, Fla.; Daytona Beach, Fla.; Cocoa Beach, Fla.; River Ranch, Fla.; Gatlinburg, Tenn.; Williamsburg, Va.; Mesa, Ariz.; Branson, Mo. ; and Tunica, Miss. Most Westgate resorts feature a variety of unique restaurant, retail and spa concepts, including Drafts Sports Bar & Grill, Edge Steakhouse, Westgate Marketplace & Deli and Serenity Spa by Westgate. For more information about Westgate Resorts, please visit www.westgateresorts.com.